Sherry is back today with her third post for The Gardening Project! 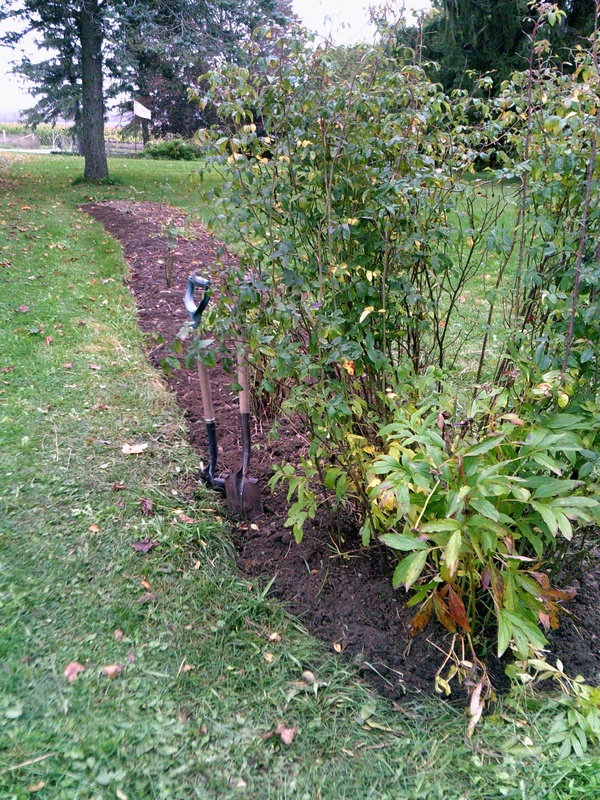 Well, I finally got that long border all dug up and weeded. Those last few feet were probably the hardest-my back and knees thought I’d never get finished! It was a lot of digging- 11 hours- and I still have to add the compost, replant the peonies and dig in a few tulip bulbs my sister gave to me. The compost and mulch might have to wait until next spring. 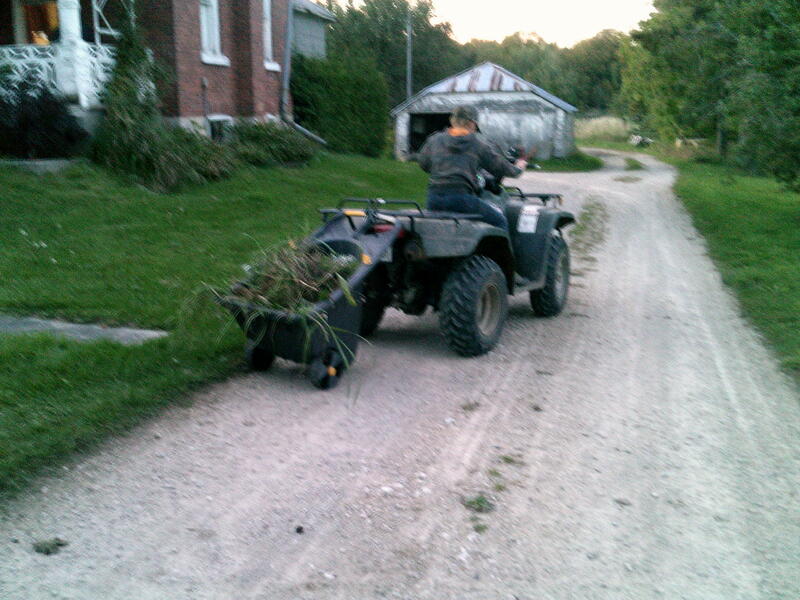 I did get some help- our 11year old son helped by dumping the weed cart for me a few times. 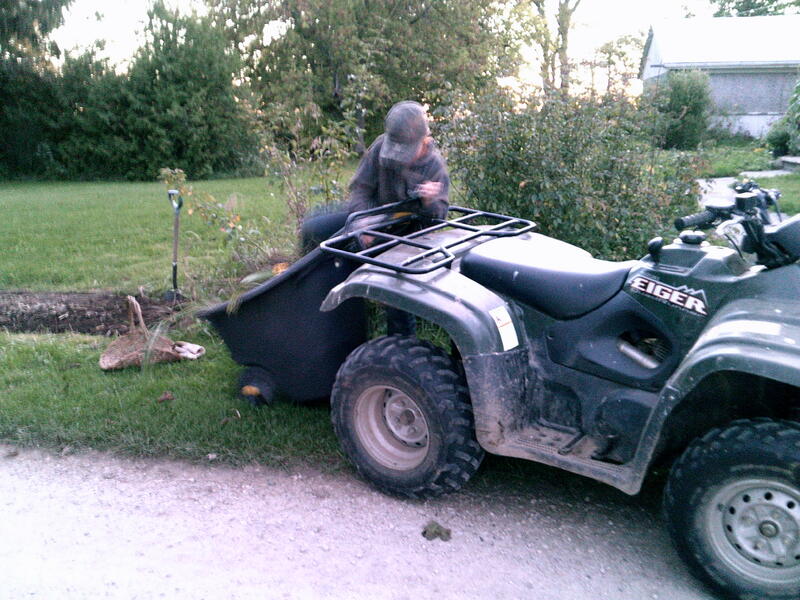 The first time he pushed it down to the dump pile; after that he tied it to the back of our 4-wheeler and drove it down. Much more fun for him, though I feared for the wheels on my cart! While I was doing all that digging I had lots of time to think, and I had an epiphany of sorts- I don’t manage time well, at all. Using a planner is a new skill for me, learning how to use it properly is not coming easy. Until January of this year, I used a month at a glance pocket calendar for appointments, and all other planning was non-existent, really, just list out big projects, then do them- eventually. 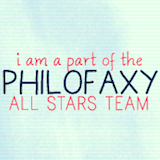 I know I waste time, and I procrastinate. Bad combination! As a stay at home mom for about 27 of our 37 years, I have fallen into the trap of “tomorrow”, I can do it tomorrow. I know- tomorrow never comes, there is only now, so I’m learning how to plan. Then I began wondering what could I do differently that could help keep this garden project on track? So I came up with a simple project page for the Ordning och Reda planner for the next flower beds I’m tackling. I titled the page “Project:” with space to write in what the project is. 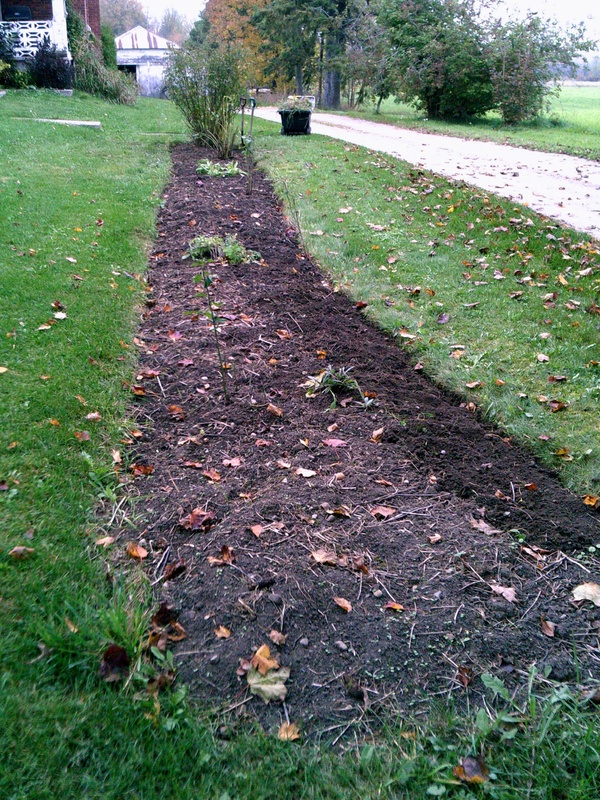 In the photo it is the South Flower Bed. I write down the objective I have for the project, and break the project down into steps I need to do to get the project accomplished. 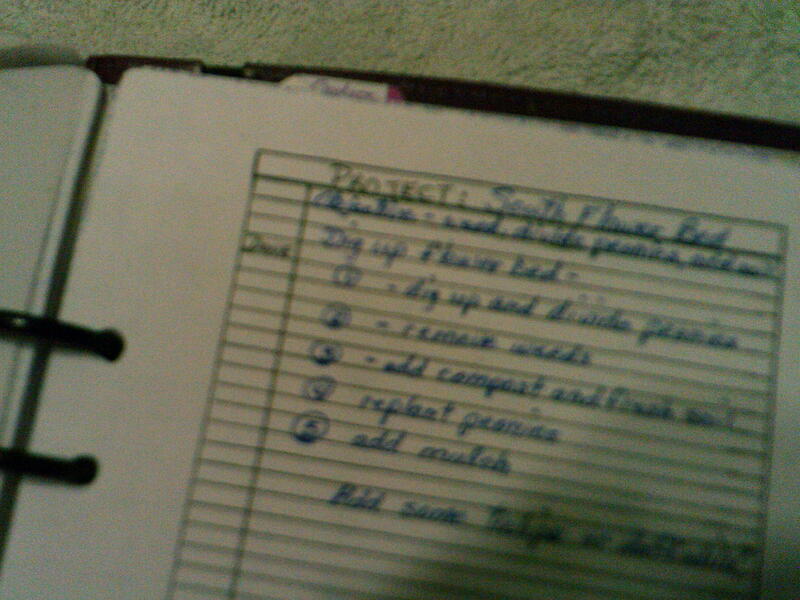 On the project page for the south flower bed I came up with five steps. This space can be expanded as much as needed. 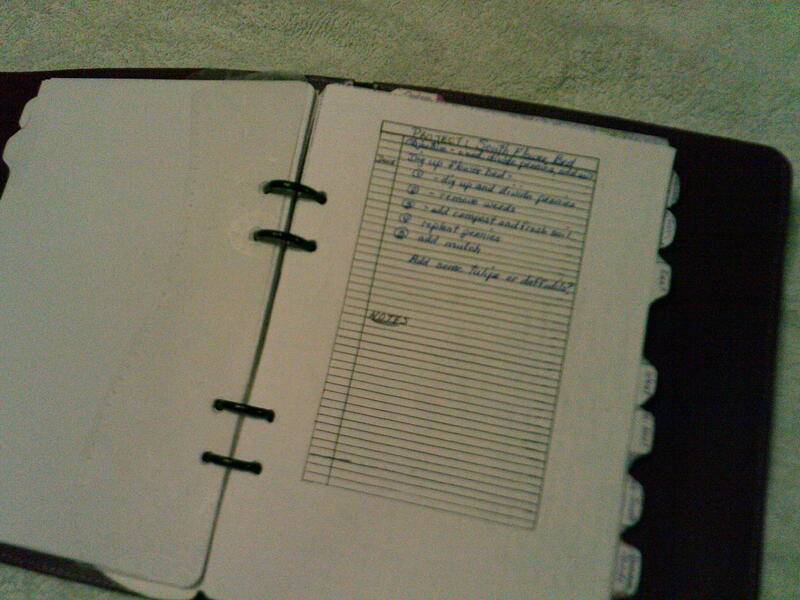 At the left of the page there is a space to check off each completed step, and at the bottom I have room for notes. The page was inserted behind the south bed tab in the lovely Ordning och Reda planner with the rough drawing I made on graph paper of the flower bed. A bonus: this page can be easily adapted to any project I might choose to do. Will it help keep me in track with this garden project? Time will tell! Hi, could you tell me something about the English Angora Rabbit? I’ve never seen one of those, soooo cute!! !